Dubai-UAE: 13 January, 2011 – The present-day interaction between Azerbaijan and Russia has shown that they have chosen a pragmatic, cooperative policy towards the Caucasus-Caspian basin. Azerbaijan has always played an independent role, mainly because of Caspian energy riches and veteran political leadership. Even if the threats grow from regional or international powers, Azerbaijan could easily balance it using its oil and gas leverage, its Turkish alliance and links with the Muslim world, says Dr. Elkhan Nuriyev, Director, SAM Center for Strategic Studies under the President of the Republic of Azerbaijan. 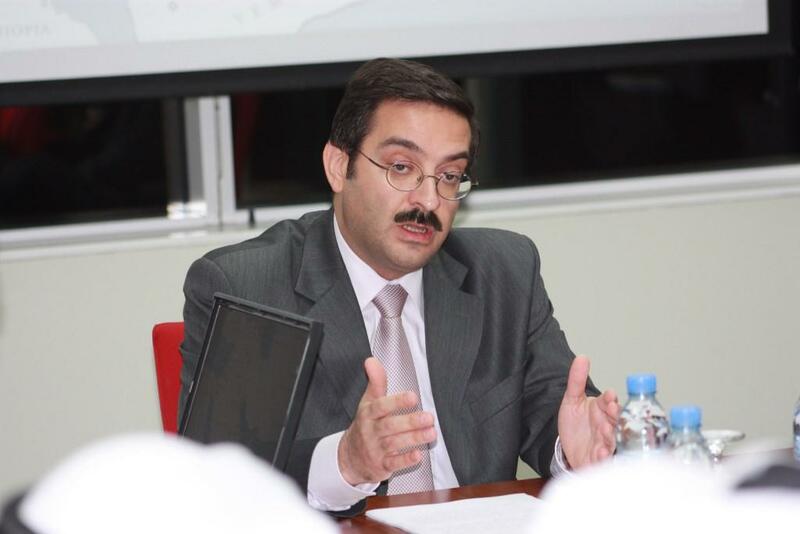 Nuriyev’s comments came as part of a lecture, organised on 12 January by the Dubai School of Government, a research and teaching institution that focuses on public policy in the Arab world. Titled ‘Foreign Policy Strategies, Caspian Energy Security and the Arabian Peninsula: A View From Azerbaijan’, Dr Nuriyev’s talk was meant to provide a much-needed insight into the Caucasus-Caspian Basin, a vital but neglected area thatcould be of strategic importance to the UAE’s foreign policy. Emphasizing the need to strengthen relations between the Central Asian republic and the UAE, Dr. Nuriyev said that Azerbaijan’s geostrategic position at the junction of East and West had enabled it to act as a bridge that can unite not only different cultures and civilizations, but also the major economic zones of Europe, Asia and the Middle East. Describing the need for Azerbaijan’s renewed thrust at strengthening cooperation with the GCC states, Dr. Nuriyev said: “The main goal of the government is to ensure the leadership of Azerbaijan in regional processes, and to consolidate its economic leadership in the South Caucasus. For more details, visit www.dsg.ae or call 04 329 3290.